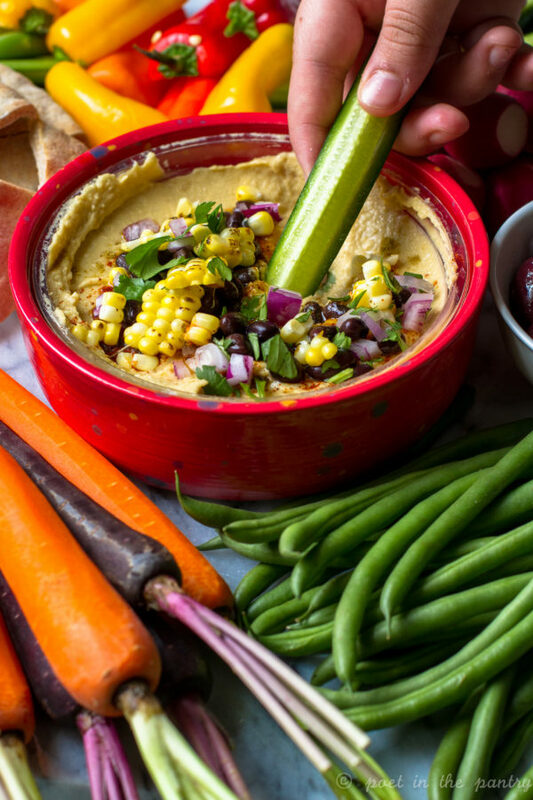 The thing is that you can eat hummus just about any time because it’s a healthier choice, as far as snacky foods and meals go. 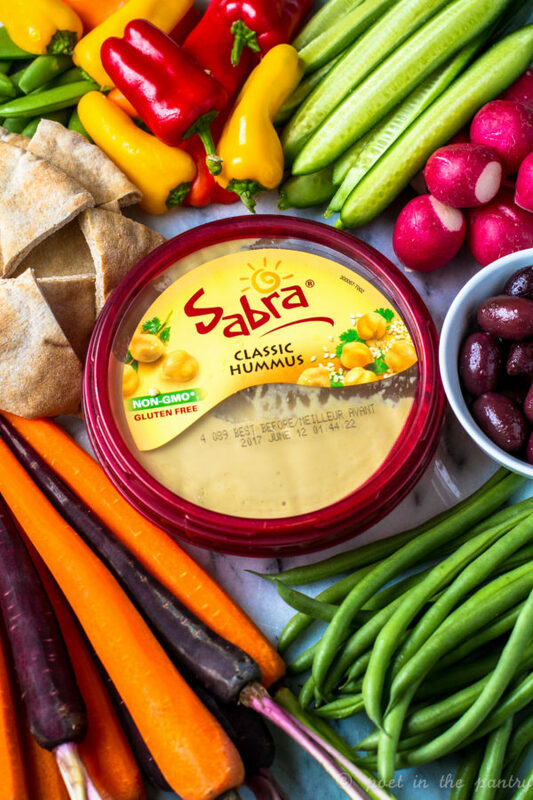 Sabra hummus is plant-based (making it a great vegan option), kosher, gluten-free, and non-GMO. Each 2-Tablespoon serving will only set you back 70 calories, while providing you with 2g protein and 1g fiber. It’s a smart choice, for sure! This year, I decided to develop another way to jazz up the perfection already provided by Sabra with some great Southwestern flavors. 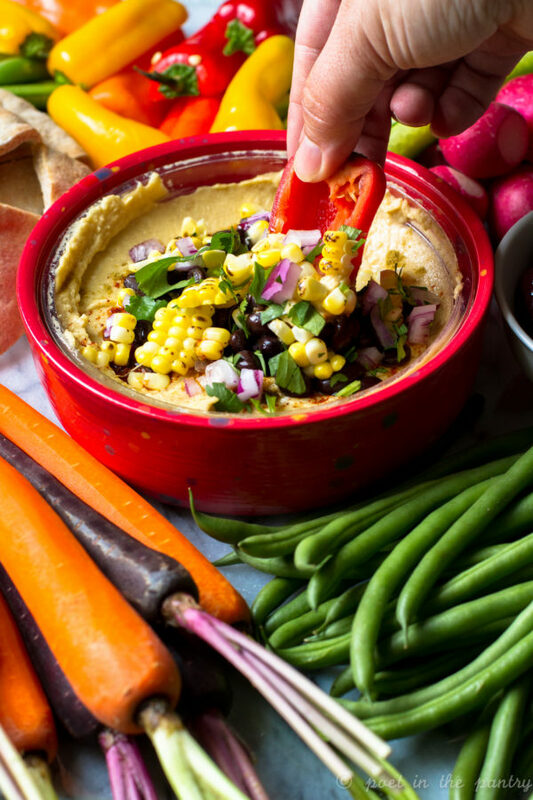 The bulk of the prep time for this appetizer/snack/unofficial meal is waiting for the corn to cook, and you can spend that time chopping your veggies for dipping, setting up a pretty tray, or just dancing around the kitchen lip synching to your favorite song. Whatever makes you happy! The black beans add a bit more fiber–which everyone can use more fiber–as well as flavor. And I love the subtle touch the spices add. A little taco, a little chili, a lot of fun! Just watch that bowl–I had to fight my kids off to get any of it for myself! Want to make my recipe at home? 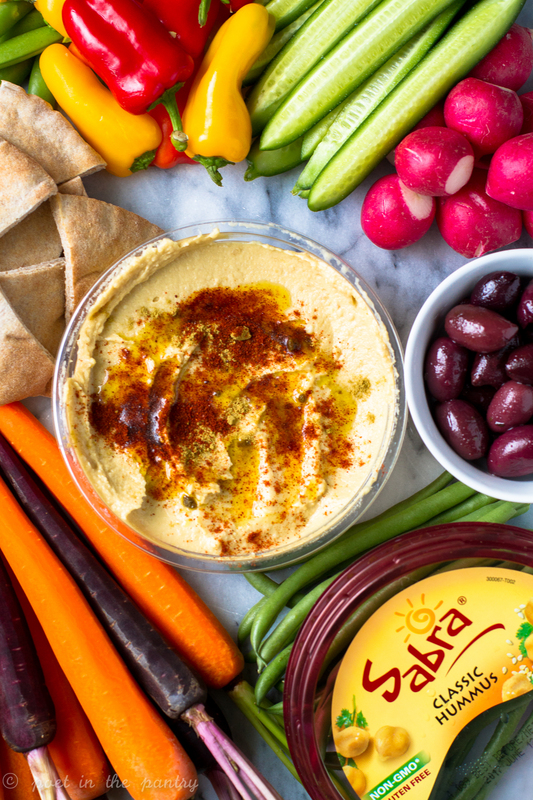 Swing by Sabra.com to pick up a coupon for your own hummus, then run out to the grocery store ASAP. 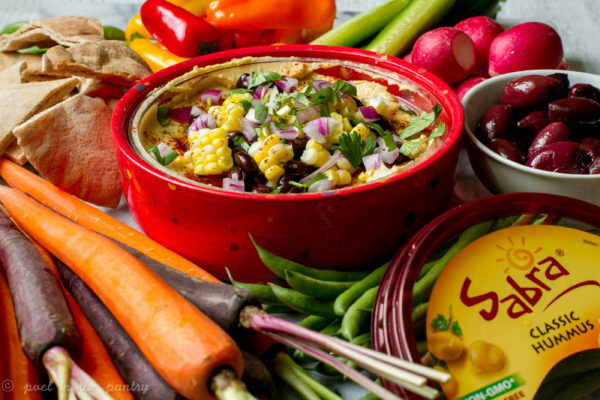 PLUS Sabra is giving away the very same bowl that’s in my photos, so get yourself entered for that! There’s still time to celebrate National Hummus Day! Preheat oven or grill to 400 degrees Fahrenheit. Soak corn in husk in water for 10 minutes, then cook for 20 minutes (turning every 5 minutes, if on the grill). Cool, then remove husk and silks and slice kernals off the cob. Set aside. Open tub of Sabra Classic hummus and sprinkle over it the cumin and chili powder. Drizzle with olive oil. Top with 3 Tablespoons corn, black beans, red onion, and cilantro. Serve with assorted vegetables, pita, pita chips, etc.